With roots dating back to 1883, the Pacific Grove Museum of Natural History inspires discovery, wonder and stewardship of our natural world. This science-based learning resource inspires others to explore and conserve the natural and cultural wonders of the Central California Coast. But it can’t accomplish all that without help from the community it serves. 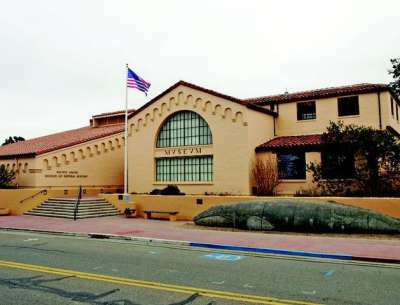 Support and celebrate the Pacific Grove Natural History Museum and discover the “Wonder of the Museum,” at its annual fundraising event on Oct. 5. This lively celebration will feature different aspects of local history over the past 136 years, six local wineries pouring wines, six local chefs providing food tastings, live music, a silent auction and an opportunity drawing. “This event is our main fundraiser of the year, and as a nonprofit, we depend on our wonderful community support to help us accomplish our work,” said Executive Director Jeanette Kihs. The museum encourages community members to join the growing list of confirmed participating sponsors and support the gala through a sponsorship. Those range from a $10,000 presenting sponsor to a $1,000 patron. Those interested should email Kihs at kihs@pgmuseum.org. Individual event tickets may be purchased for $100 each.